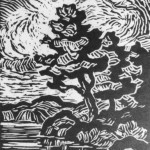 Birger Sandzén created block prints using two materials, wood and linoleum. 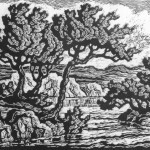 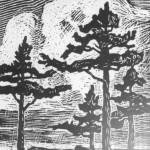 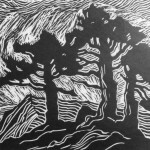 Initially, he created traditional woodcuts using gouges to cut impressions in a wood block. 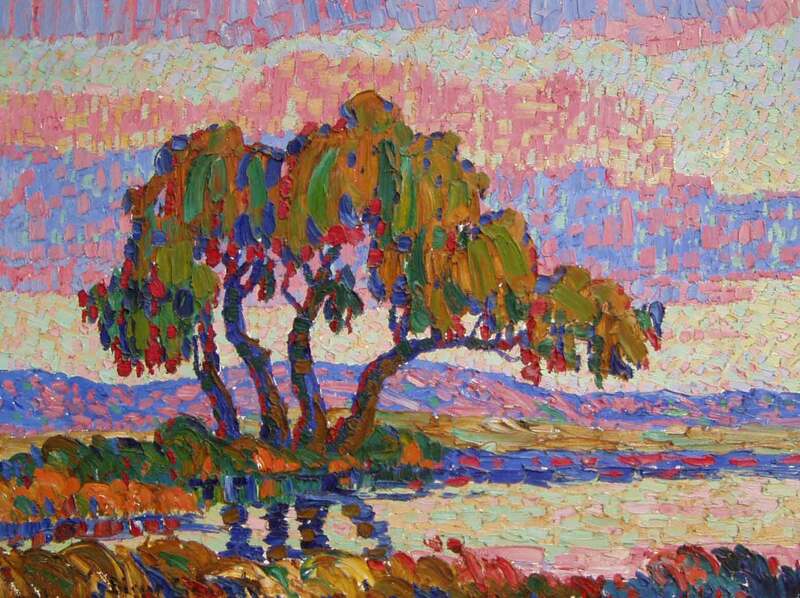 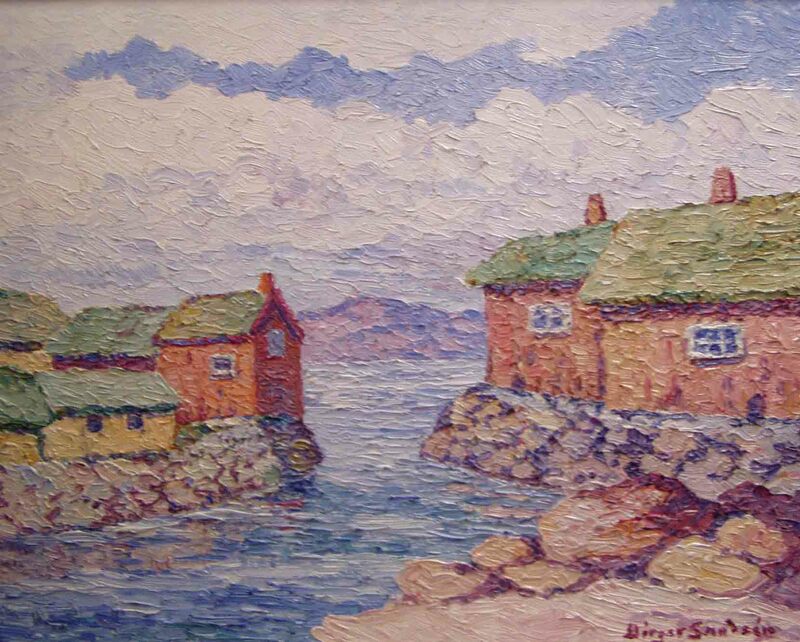 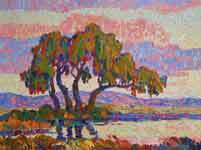 He also developed a pointillist technique utilizing the tip of a square nail to make impressions in the block. 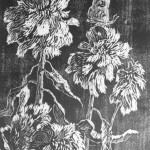 His daughter, Margaret, referred to these works as nailcuts. 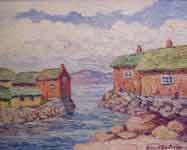 Later, beginning in 1921, he produced linoleum cuts. 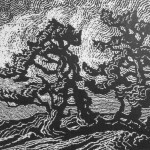 Sandzén created 94 block prints (17 are traditional woodcuts, 34 are nailcuts and 43 are linoleum cuts). 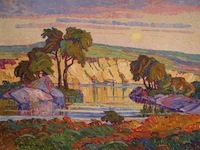 Among the Red Rocks, 1917, nailcut. 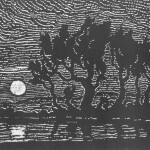 Moonrise on the Smoky River, 1922, nailcut. 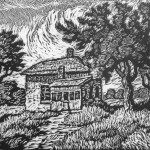 Smoky Valley Homestead, 1929, linoleum cut, first state. 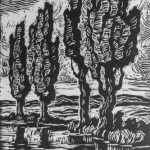 Brook with Poplars, 1932, linoleum cut. 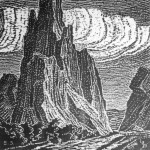 Republican River, 1945, linoleum cut, first state. 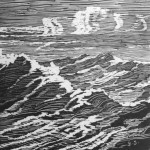 Colorado Stream, 1952, linoleum cut.